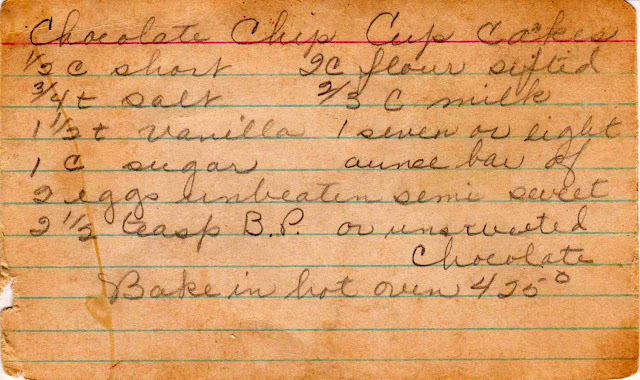 This all-American vintage recipe (perfect for your July 4th picnic) features a white cake studded with chunks of chocolate. It was probably created before 1939 (when chocolate chips became commercially available) because it calls for breaking up a bar of chocolate to create "chips." 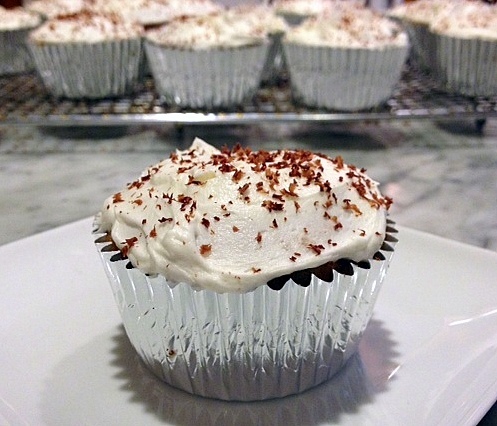 This is an easy-to-make and delicious confection. 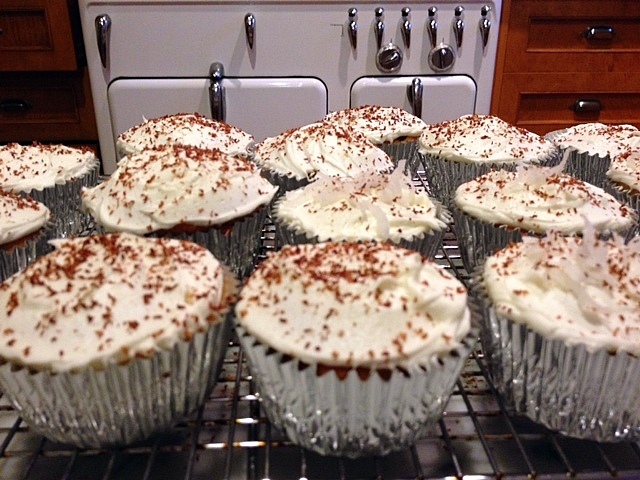 Although the recipe didn't call for frosting, and these really could be breakfast muffins, I couldn't imagine an unfrosted cupcake so I topped these with a vanilla coconut buttercream and a bit of shaved sweet chocolate for decoration. It's essential to use an excellent semi- or bittersweet chocolate. 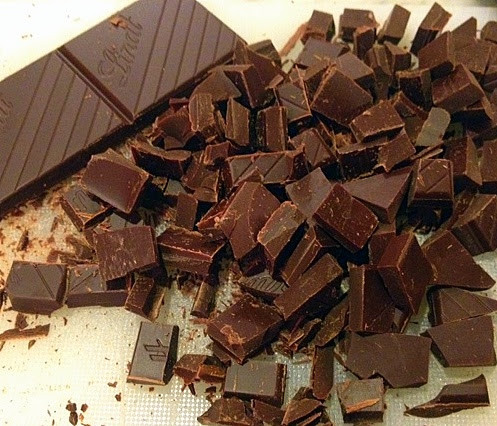 I got a couple of bars of Lindt and coarsely chopped it. Mix up the batter and simply add the chocolate chunks in at the end. 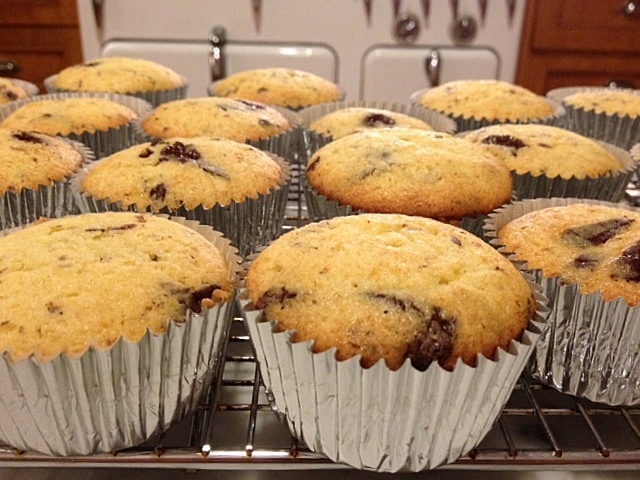 Spoon into lined cupcake tins (the batter is very thick), filling about 3/4 full. Recipe card below, and following is the method I used, as this card is simply a list of ingredients. Mix shortening (I used unsalted butter) and sugar until light and fluffy. 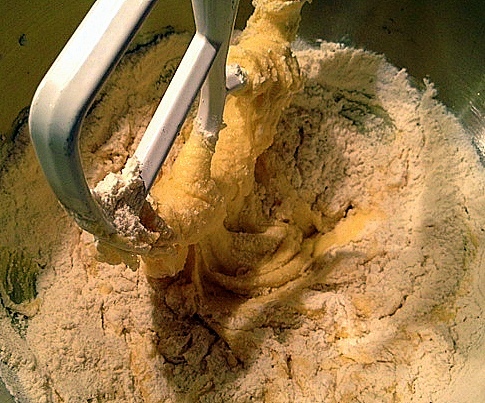 Combine dry ingredients and add alternately to the batter with the milk, beginning and ending with the dry ingredients. Add in the chocolate and combine well. Spoon into prepared cupcake tins. For the frosting, I used the Magnolia Bakery's vanilla buttercream but added some coconut extract for an additional flavor note. 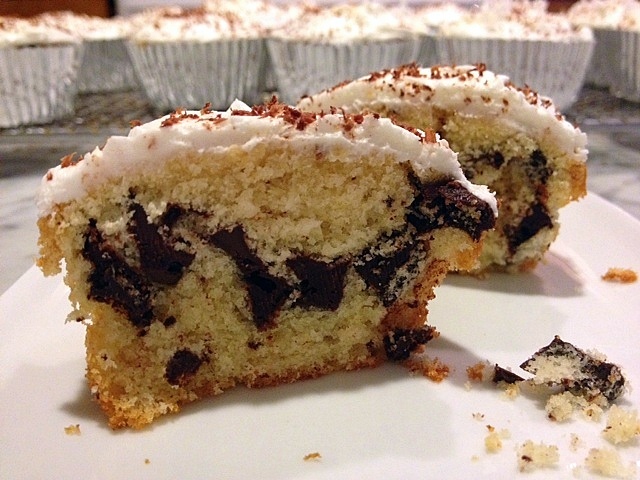 Top with sprinkles or grated chocolate. I read the card before your instructions and was taken aback by the 425F! My coworkers have been letting me know it's time to bring something in for them again. These just may fit the bill! I know! I was so taken aback by the 425 that I thought the entire recipe might be flawed. Happy to discover it's pretty good. These look brilliant! Thanks for the recipe!